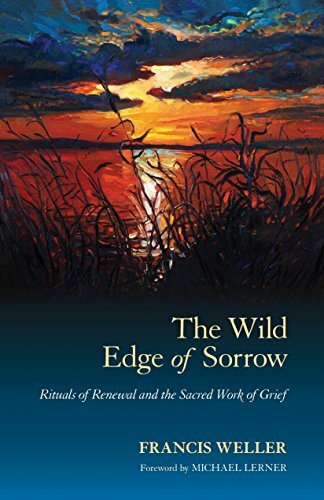 Noted psychotherapist Francis Weller provides an essential guide for navigating the deep waters of sorrow and loss in this lyrical yet practical handbook for mastering the art of grieving. 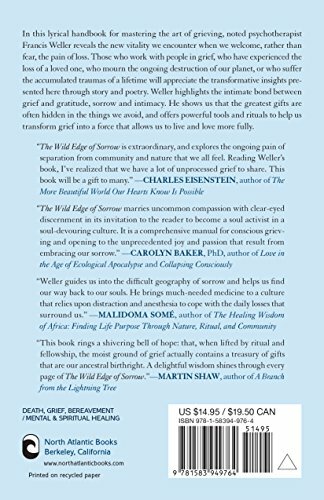 Describing how Western patterns of amnesia and anesthesia affect our capacity to cope with personal and collective sorrows, Weller reveals the new vitality we may encounter when we welcome, rather than fear, the pain of loss. Through moving personal stories, poetry, and insightful reflections he leads us into the central energy of sorrow, and to the profound healing and heightened communion with each other and our planet that reside alongside it. "The Wild Edge of Sorrow"explains that grief has always been communal and illustrates how we need the healing touch of others, an atmosphere of compassion, and the comfort of ritual in order to fully metabolize our grief. Weller describes how we often hide our pain from the world, wrapping it in a secret mantle of shame. This causes sorrow to linger unexpressed in our bodies, weighing us down and pulling us into the territory of depression and death. We have come to fear grief and feel too alone to face an encounter with the powerful energies of sorrow. Those who work with people in grief, who have experienced the loss of a loved one, who mourn the ongoing destruction of our planet, or who suffer the accumulated traumas of a lifetime will appreciate the discussion of obstacles to successful grief work such as privatized pain, lack of communal rituals, a pervasive feeling of fear, and a culturally restrictive range of emotion. 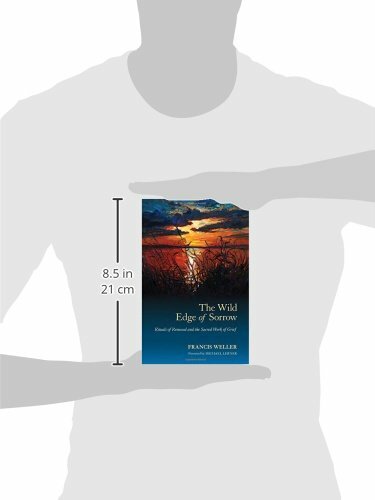 Weller highlights the intimate bond between grief and gratitude, sorrow and intimacy. In addition to showing us that the greatest gifts are often hidden in the things we avoid, he offers powerful tools and rituals and a list of resources to help us transform grief into a force that allows us to live and love more fully."